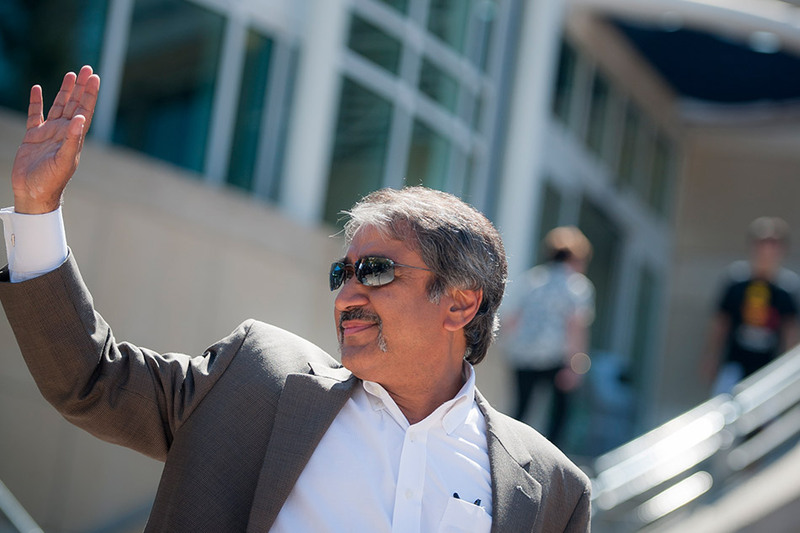 UC San Diego’s Chancellor Pradeep Khosla has been accused of bullying former female staff members. A state-appointed UC Office of the President investigator is currently reviewing the case, conducting preliminary interviews regarding professional interaction with Khosla. Since the investigations began, three women have since come forward to speak with the investigator: UCSD San Diego’s former Chief Alumni Officer Stephanie Barry,, former Executive Director of Special Events and Protocol Judy Lane, and the former Assistant Vice Chancellor for Academic Personnel and San Diego attorney specializing in harassment and discrimination cases Kristina Larsen. In addition to being a former UC staff member, Larsen is legally representing Barry and Lane. There is also an anonymous fourth person who filed claims against Chancellor Khosla. It remains unclear whether Larsen is exclusively representing the two women who have gone on the record or if she is also the attorney for the other unnamed individual in question. According to Larsen, UCOP has not kept the reporting women updated on the investigation’s process. Since receiving this initial statement, Larsen declined to continue any communication or respond to any further inquiries. Meanwhile, the UCOP has not confirmed any development of the investigation. It is also doing its own review of an internal complaint and is working with the investigator, Director of Media Relations of UCOP Claire Doan said to the Guardian. “The University of California has robust processes in place for investigating all matters of compliance,” Doan said. Outside of the UC system, the case has already garnered coverage from local press. Prior to appointment of his current post in 2012, Chancellor Pradeep Khosla served as the former Dean of the College of Engineering at Carnegie Mellon University in Pennsylvania for eight years, where he began as an Assistant Professor in 1986.